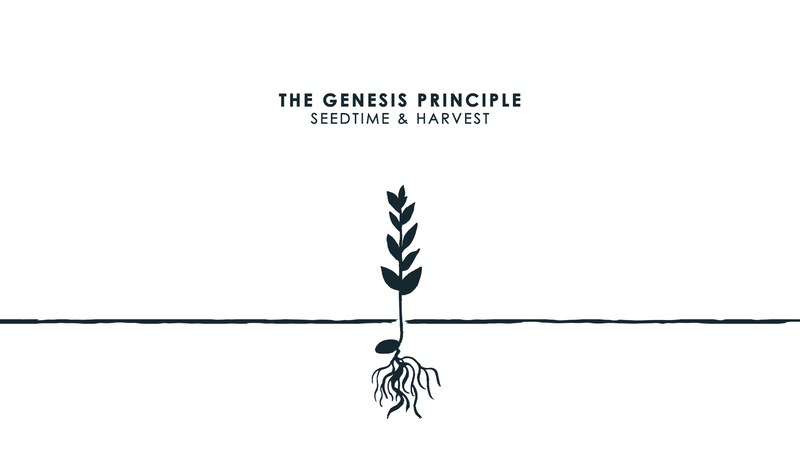 Within this parable, Jesus reveals to us two very important truths regarding Seedtime and Harvest: First, the Genesis Principle begins with a SEED. And second, Jesus goes on to reveal the importance of the SOIL. We spent a lot of time last week talking about the SEED. Now, we’re going to focus on the importance of having the right SOIL. Church, make no mistake – the SEED here refers to THE WORD of GOD. Everything in Creation began with THIS SEED! 12 The ones along the path are those who have heard; then the devil comes and takes away the word from their hearts, so that they may not believe and be saved. 13 And the ones on the rock are those who, when they hear the word, receive it with joy. But these have no root; they believe for a while, and in time of testing fall away. 14 And as for what fell among the thorns, they are those who hear, but as they go on their way they are choked by the cares and riches and pleasures of life, and their fruit does not mature. 15 As for that in the good soil, they are those who, hearing the word, hold it fast in an honest and good heart, and bear fruit with patience. 15 He who WALKS righteously and SPEAKS uprightly, who despises gain from fraud and from oppression, who shakes his hand free from bribes, who stops his ears from hearing bloodshed and shuts his eyes to AVOID LOOKING upon evil… [Such a man] WILL DWELL on the heights; his place of defense will be the fortresses of rocks; his bread WILL BE GIVEN HIM; water for him WILL BE SURE. Through this verse we can see that walking right and speaking right work hand in hand. Another way you know you are walking with God is when you are agreeing with God. Amos 3:3 tells us: How can two walk together unless they be agreed? Beloved, you know you are agreeing with God when you are agreeing with His Word. It is only when we agree with God’s Word that we will begin to speak it out of our mouth! God wants our manner of speaking SANCTIFIED. To be sanctified is to be cleansed from the “debris” of the world - to be SET APART for a HOLY PURPOSE. James 3:2 tells us: For we all stumble in many ways. And if anyone does not stumble in what he says, he is a perfect man, able also to bridle his whole body. To BRIDLE the TONGUE is to “TAME” it and in taming it – we bring OUR WHOLE BODY into SUBJECTION. The word tame means to train. What are we TAMING (or TRAINING) our tongue (words) to be SUBJECTED to? The WORD of GOD! James 1:26: If anyone thinks he is religious and does not bridle his tongue but deceives his heart, this person's religion is worthless. Make a decision this week to use God’s Word to cultivate the soil of your heart. Good ground (soil) comes as a result of believing God at His Word and putting it into action in your life! To hear this message in its entirety, pick up a copy of the CD series, The Genesis Principle by Rev. Doreen Comis, at our church bookstore.